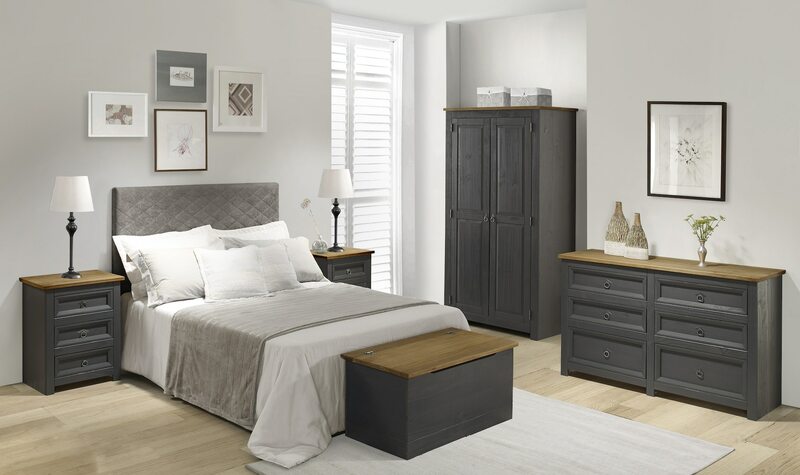 The Corona Carbon range of bedroom furniture from Core Products is a fresh new variation on a popular design. 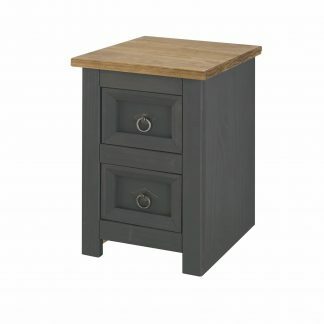 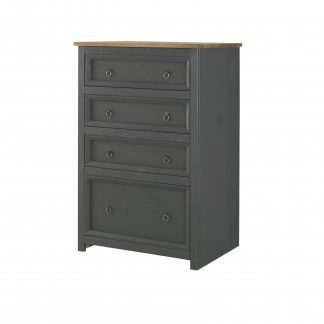 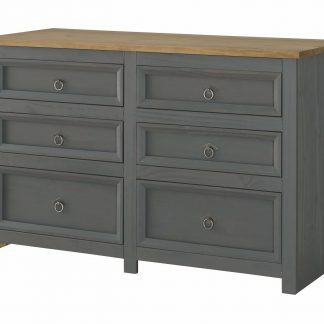 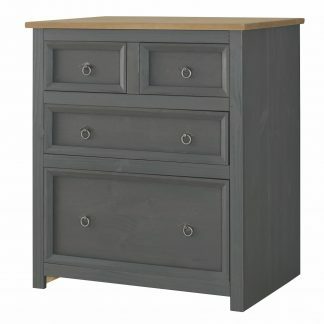 A simple line drawer moulding and attractive gunmetal handles with a chunky pine top, finished in antique wax, add style and a solid look. 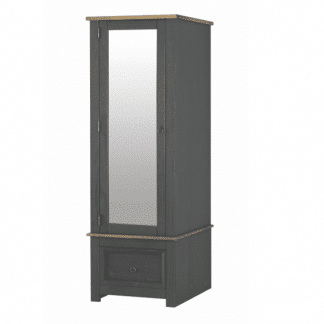 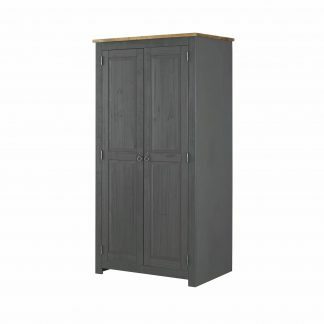 Chests and wardrobes are made from solid pine while there are pine plywood drawer bottoms and backs. 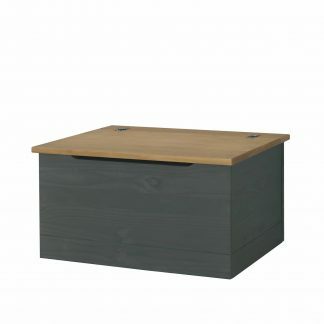 Drawer boxes all have traditional dovetail joints for additional strength. 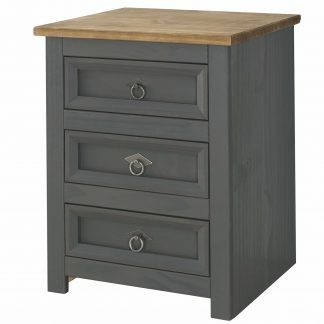 We offer free delivery on the UK mainland and delivery is normally 2 -3 working days from order.